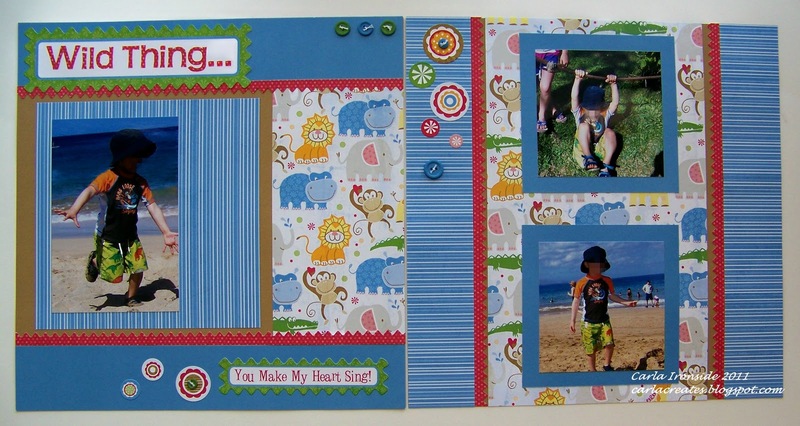 This is a layout I created eons ago, but I'm just finally getting around to putting photos on it! The layout design is from either Imagine or Cherish (two of the CTMH Scrapbooking layout sketch books which are FULL of great 2 page sketches), but I don't recall which! These pics were perfect for the title - photos of my little guy being his wild little self while we were on vacation in Hawaii. Be sure to check back tomorrow - I'll have a brand new layout for my first Scrap it With a Song post of the year! Super cute layout. I've always loved that paper.